Choosing Rebecca as our photographer was without a doubt the best decision we made in our planning process. She is kind, professional, helpful, amazingly talented and an overall pleasure to be around. From the very beginning she was supportive of our vision and helped bring it to life. From our engagement pictures taken at home on a FREEZING January day to our small and intimate wedding on 10/21, Rebecca never ceased to impress us. Before the wedding, Rebecca was always available to answer any of my questions or run ideas by. 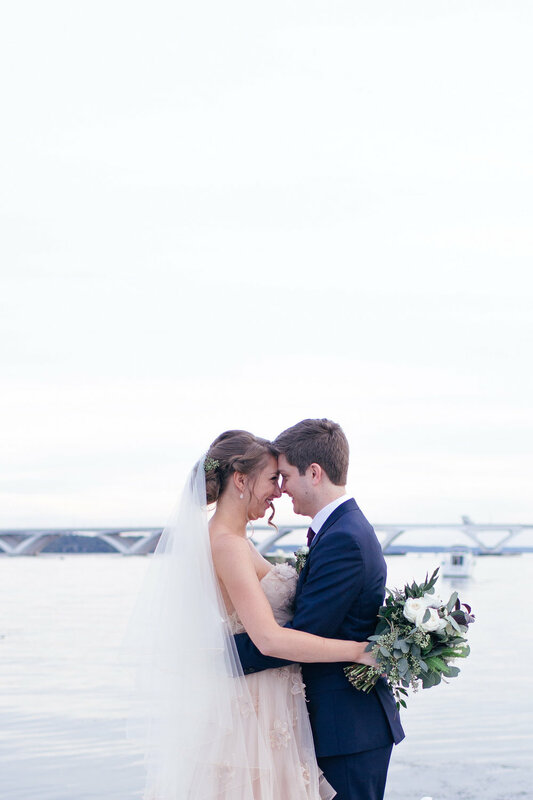 She even walked around Old Town Alexandria with me a few months before the wedding as we scoped out possible locations for pictures and the first look. Rebecca and her second shooter Leah captured our wedding day perfectly, and it has been incredible to relive the most magical day of our lives through the pictures they took. Words alone cannot do justice to how beautiful the pictures of our wedding day turned out. We will treasure each of them, because each of them remind us of a different special moment from the most perfect day ever. Each of our 37 guests have remarked at how fun, kind, and professional Rebecca and Leah were the wedding day, and our officiant (who we flew in to perform the ceremony from my hometown church in Arizona) said that they were “not intrusive, easy to work with and overall extremely lovely.” We are so glad to have had Rebecca as our wedding photographer, and we cannot recommend her enough!